Hi, I’m Emily Grosvenor, the author of the children’s picture book Tessalation!, a book about patterns and wonder. I first learned about tessellations in a fourth grade gifted class. 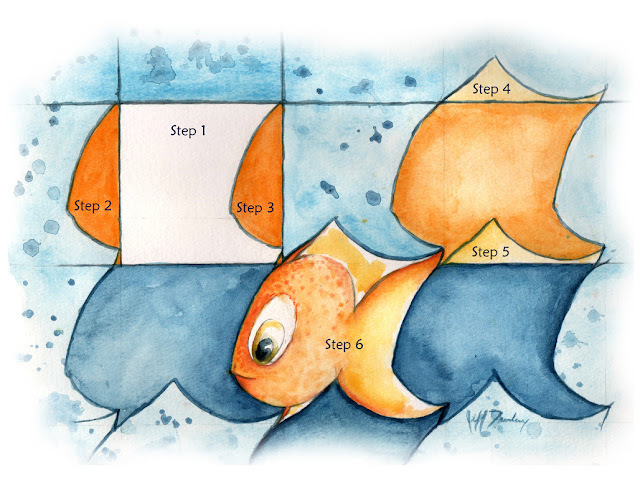 As a dreamy, creative kid who didn’t connect easily with math class, I loved how learning about tessellations offered me a back-door approach to learning a math concept. 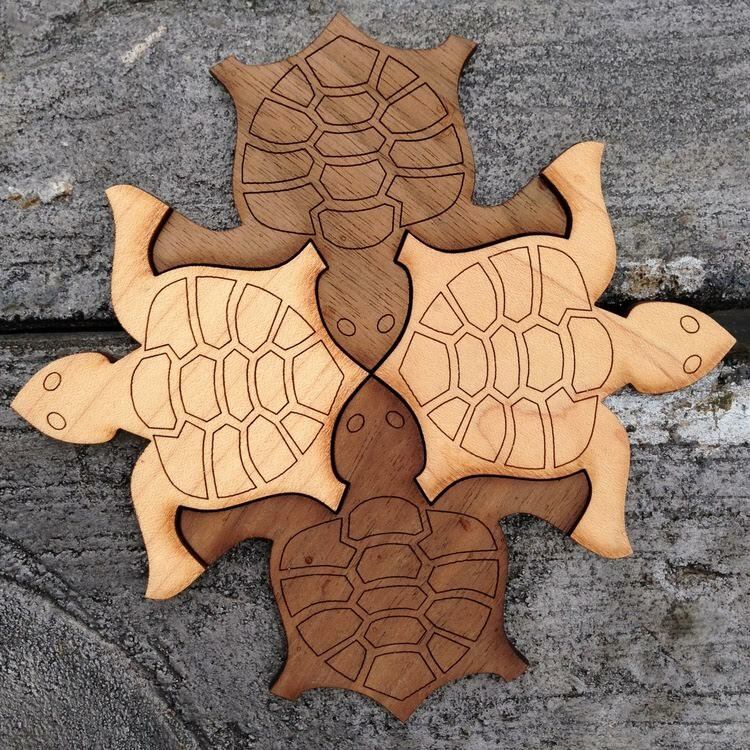 As an adult, I see something even more special in tessellations beyond the coolness factor. To me, they are indicative of the natural order to be found in nature, a way to see that there is a strong connection between math and the world as it is. So when I set out to write Tessalation!, I had an image of elementary school math teachers using it as a jumping off point for a discussion of tessellations. After all, you shouldn’t have to be in a gifted class to love or learn about tessellations. Tessalation! is designed to have two entry points for children, making it appropriate for kids ages Kindergarten through 4th grade. Kindergarten and 1st graders enjoy looking at the images, noticing which of the pages are patterned, and discovering where Tessa is hiding in the pattern. Older children will resonate more strongly with the books themes and will be inspired to make their own tessellations. in Seattle has a tessellation station. Step 1: What is a pattern? Talk to the children about what a pattern is. Are there patterns in your classroom you can point out? If you are at home, are there places where you can direct their attention to repeated patterns, like in the tiles of the floor, or on curtains? Is there a chain-link fence you can show them? By Kindergarten, children are likely to be able to decipher between a pattern and a tessellation (tiling mosaic pattern with no overlaps and no wholes), but it is far more important at this stage in the game to simply be able to recognize a pattern. Tessalation! is the story of a little girl who gets sent outside to the backyard. There, she hides in the patterns of nature. It contains 16 illustrated pages, including seven pages of tessellations. Here is an example of a tessellated page. 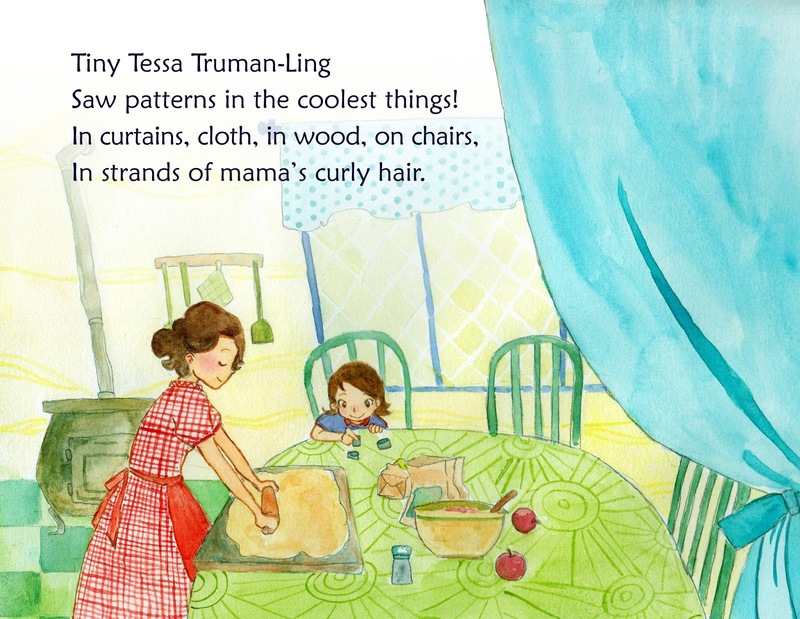 As you read through the book, ask the children to find Tessa in the pattern. Then ask them: What is being repeated in the pattern? Is there something you see again and again? Ask them what they notice about the pattern. What is their favorite pattern in the book and why? 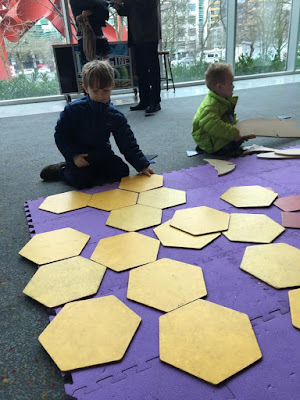 If you have toys that tessellate, bring them out and play with them. Some examples include: Checkers, these tiling turtles, triangle mania, or hexactly. If you don’t have access to any of these, it might make sense to cut out several of the same shapes, such as a triangle or square, and allow the pupil to tessellate the shape themselves. Credit: 2016 Emily Grosvenor, Tessalation! 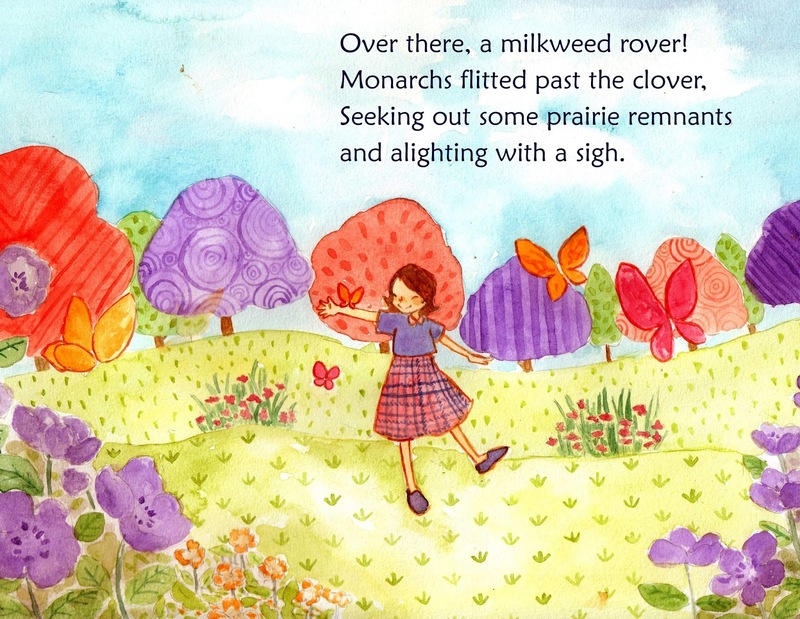 Older children should respond positively to the natural themes in the book. Each of the tessellations features an animal, fungus or plant in a tiled mosaic pattern. 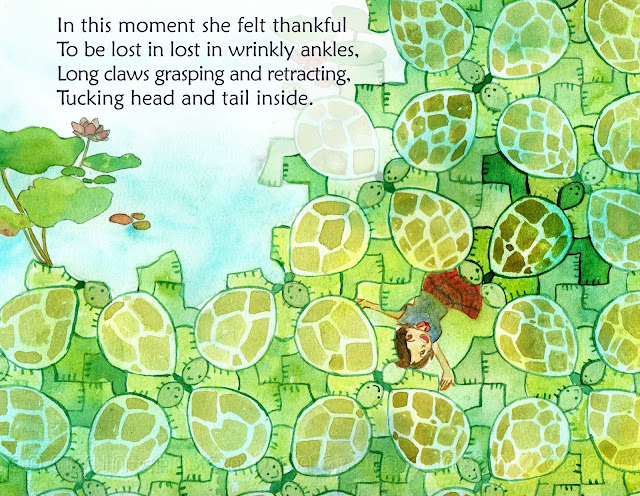 For these children, finding Tessa won’t be an issue (they might balk at being asked to find her), but they will nevertheless be inspired by the story and the images to create their own tessellations. 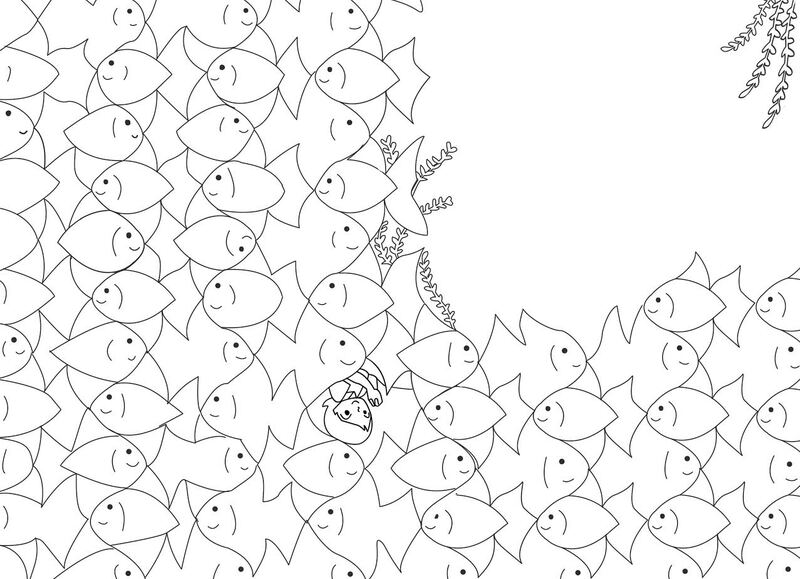 Step 2: Pattern or Tessellation? What is a pattern, what is a tessellation, and what is the difference? By these ages, children will easily be able to identify a pattern, but you should open a discussion about the difference between the two. Look around your classroom. Are there patterns you can point out? Are they tessellations – repeating tiled mosaics of the same shape over and over again? Or are they merely patterns? In the book, which patterns are tessellations and which are simply patterns? Once the pupils understand what a tessellation is, they will be ready to make one themselves. There are three regular polygons that tessellate: squares, triangles and hexagons. If you are making your own, I generally suggest you begin with a square, since they are easiest to cut en masse. 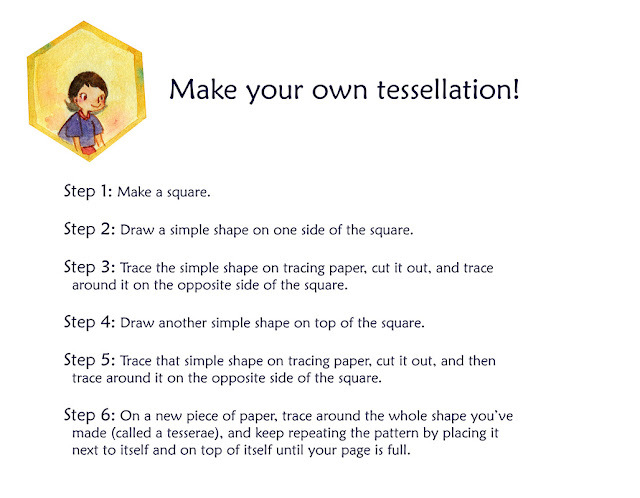 Use this tutorial from Tessalation! to show children how to create a tessellated square, but invite them to make their own shape to tessellate. If you’d like a video walkthrough of how to do a tessellation, this YouTube video shows an easy-to- follow method. Do you have time left over? I have made some tessellation and story pages directly from the book, which you are welcome to print out from my website. Warning: The tessellating turtles page is for advanced coloring! Have fun tessellating, and let me know what you think. find her on Twitter @emilygrosvenor or read more of her work at http://www.emilygrosvenor.com. 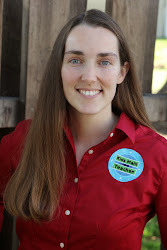 Thanks for visiting Kids Math Teacher today and I want to thank Emily for this great post! 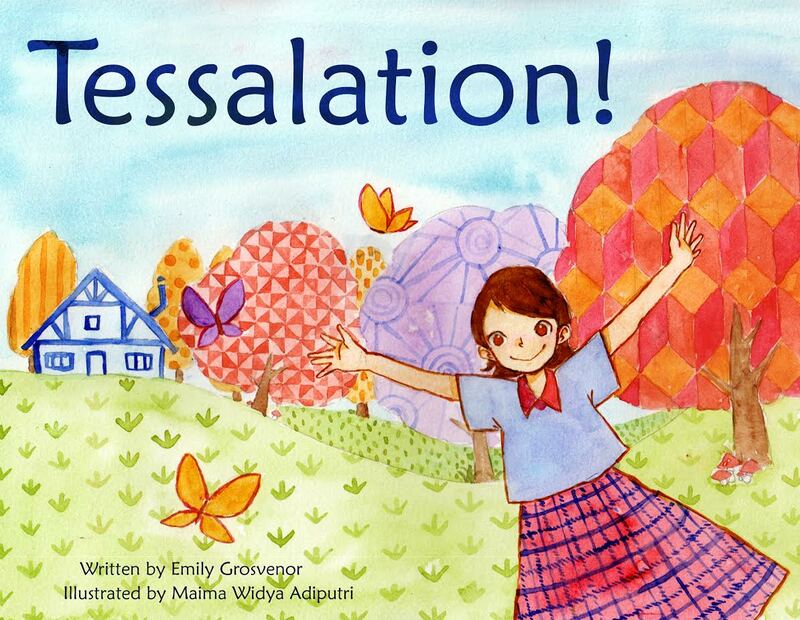 Let us know what you think... Congratulations Emily on the successful Kickstarter and I wish Tessalation! the best in book success! Thank for showing so many great ways to use tessellations! 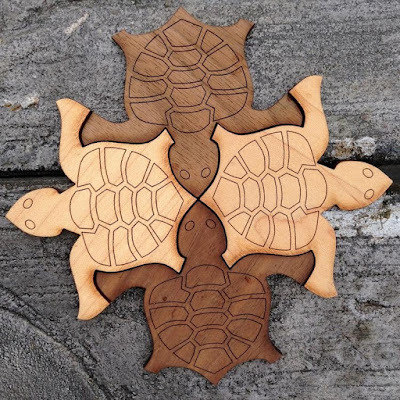 Wow, these are fantastic ways to use tessellations. I am so pleased that I found this article. I also need such nice ideas for my Phoenix preschool and truly your blog contains fantastic ideas for my class. I am so keen to use these ideas in the classroom. It is an impressive post and was and interactive reading for me. Trying to find some fun activities for my kids for homeschooling. Just got to know about the best activities available at http://www.kidsfront.com/words/. So excited to find this great website.